It also confuses our bodies which want to be fully alive, not just half living. Many of you know, I’ve had many struggles in the last few years. In fact it’s been a period of struggle, overcome struggle, overcome. Then I got to a point where I decided that I needed to do what felt good, even though it might bring up tons of fear. I decided that in order to be free I had to let go the notion that everything had to be planned out and that I had to be in control of every outcome. That’s how I’ve done things that other people are afraid to do. I left a full-time really secure job. I moved to a few different places without knowing anyone. I sold my house because I knew the time was right. I advocated for my health when I wasn’t being listened to. I let go of relationships in my life that weren’t serving me or the other people involved. There is an amazing sense of freedom when you live your life fearlessly. Whether the decision is small or large, when you learn to navigate fear you’ll recognize when it’s time to make the decisions. It won’t feel hasty or rushed. You’ll be scared, but you’ll know it’s right. How do you get that kind of freedom? In my own experience and experience of my clients, there are three key ways to freedom. Choice: It comes down to making a decision. You get to choose what you want. When you learn to make choices based on who you are and what you truly want, you stop struggling with the right to do. Body Communicating: Big part of making decisions means communicating with your body. Your body and your health will rebel if you are not making decisions that are in harmony with what you truly desire. 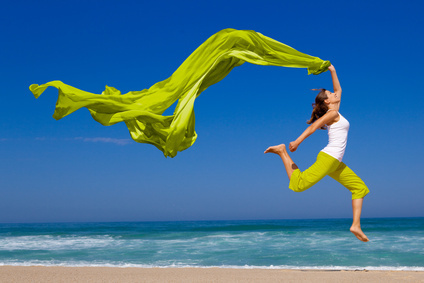 Freedom comes from releasing mental pressure and honoring every cell of your miraculous body. Belief: In order to be free you have to believe you really deserve it. You have to be willing to live in faith that the choices you make are aligned with your larger vision. Understanding that you can have everything you desire, and be content even when everything hasn’t lined up perfectly yet. Belief is a commitment to yourself, so is freedom. Are you ready to commit, connect, and choose your path to freedom? Great! I’m hosting a free call to talk more about the three ways to freedom and I’d love if you join me. The free Three Ways To Freedom call will be on Monday, August 4, 2014 at 7pm EST. If you’d like to join us please send me an email at Laura@goodgirlshealth.com with the words “I’m in” and I’ll send you the call details. 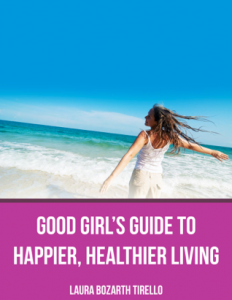 This entry was posted in Good Girls Career, Good Girls Health, Good Girls Lifestyle, News and tagged chronic pain, mind body connection, self empowerment, stress relief, success. Bookmark the permalink.